These wonderful place mats are ready to open and sew! All applique has been laser cut, and the finished size is 12-1/2"x18-1/2". Kits include all fabric for front, back, binding, and four flower appliques. 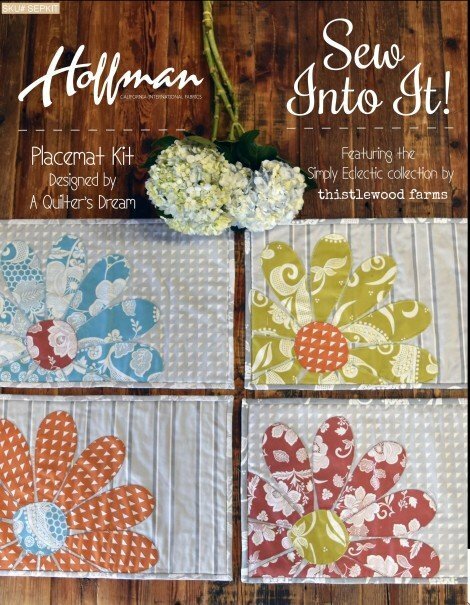 Designed by A Quilter's Dream featuring Simply Eclectic Fabric by KariAnne Wood of Thistlewood Farms.